We all use cloud storage services to store our important files and photos. We usually randomly select these cloud storage services to save our files. When we need it, we get confused and open all cloud storage services account to check for the file. For handling this situation, we all think of a service which lets us search across all our cloud storage services and let us access the file instantly from that service in which we saved it. 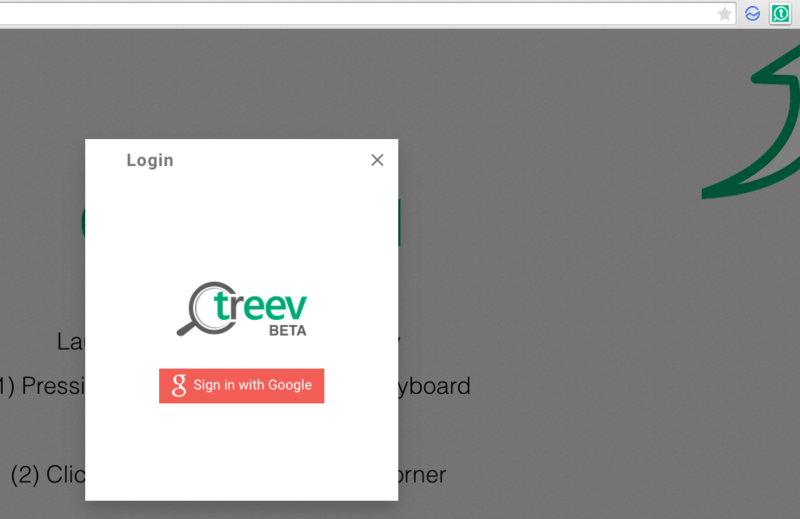 If you use Google Chrome, you can try Treev extension for this. It lets you search for files across your cloud storage accounts. 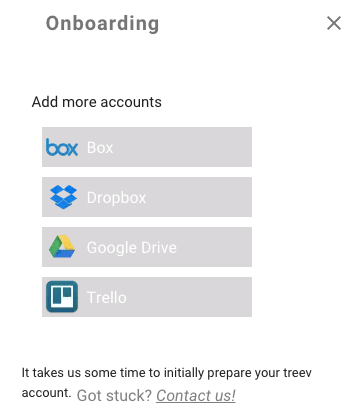 Treev lets you quickly search for a file stored in your different cloud storage accounts. You do not need to leave your active page on Chrome. All your have to do is connect your cloud storage accounts in the extension. As of now, it supports Google Drive, Box, Dropbox and Trello. But company is working to add more cloud storage services soon.After installing this extension in Chrome, it adds icon in omnibar. Clicking on this icon will open a popup login box. Sign-in with your Google account and accept its terms and condition. Then you will be able to connect your different cloud storage accounts. It is not necessary to add all accounts. You can add all those accounts from which you want to search files. After connecting your accounts, click on Sync now button at the bottom of that window. Once you are done with setup, you are ready. Whenever you want to search for a file, click on the extension icon or use ALT+S keyboard shortcut. It will open a search box in model window. Type your file name and it will show you instant search results. Hover on search result will show you link to open or copy the file URL. So, you can directly open the file. This extension does impressive job. This is very useful for those who frequently use cloud storage service to save and access your files. If you think this is impressive, you can try it.